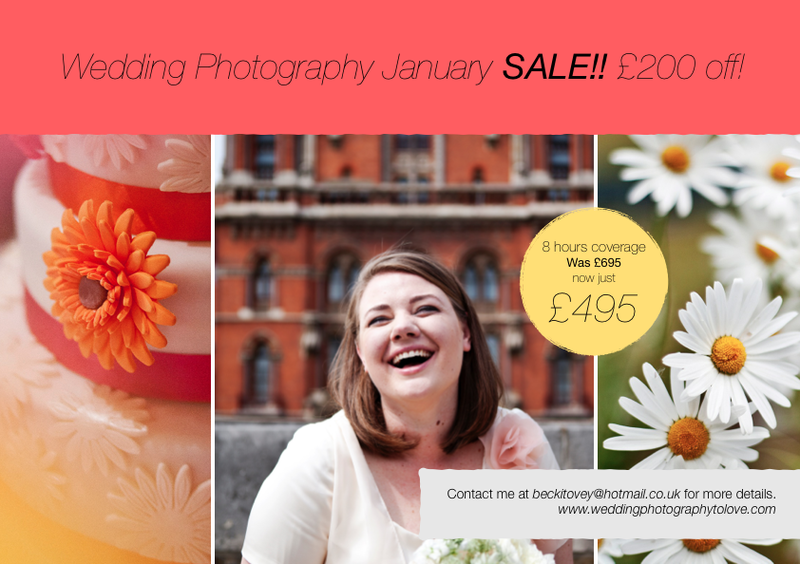 Wedding Photography to Love by Rebecca Tovey: January Sale! I just wanted to tell you guys about a very special offer I have on at the moment for wedding photography packages in 2014. For a limited time only I am offering my 8 hour photography package at a massive £200 discount! A great bargain. If you would like any more information please get in touch with me at beckitovey@hotmail.co.uk for an information pack. Bookings are also available for 2015 at the usual price.